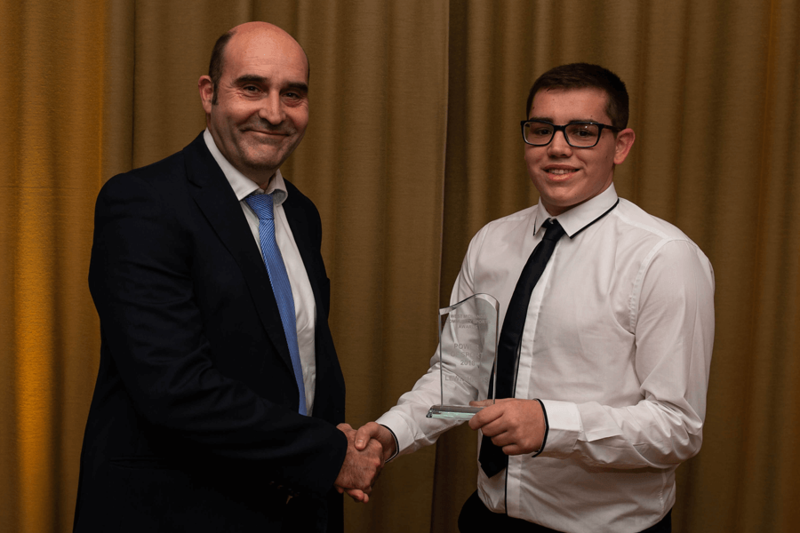 We are delighted to announce that Lewis Higgs, a valued member of the Dines Green Youth Team, has been awarded The BBC Radio Power of Sport Award at The West Midlands Community Sports Awards. The Power of Sport Award recognises an individual whose life has significantly changed and improved through adopting a more active lifestyle. Lewis has made significant improvements to his life as a direct result of taking part and organising sports activities within the Youth Club at Dines Green. The Awards which recognise and celebrate the difference that sport and physical activity makes to community life across the region were held at The University of Birmingham on Thursday 6th December and run in partnership with six County Sports Partnerships, BBC Midlands and The University of Birmingham. There are five Categories: Community Coach of the Year, Community Club of The Year, Community Project of The Year, Aspiring Talent and the BBC Radio Power of Sport Award. Also on the night local cricket legend Basil D’Oliveira was inducted into the BBC West Midlands Hall of Fame. Everyone at Worcester Community Trust is really proud of Lewis and hope his story inspires other young people in our City.